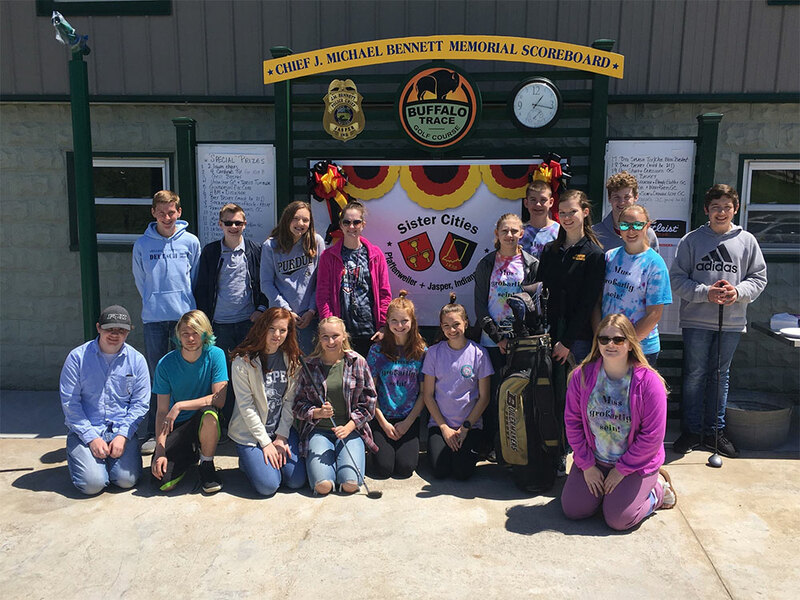 2018 - JHS German Exchange students at Sister Cities Golf Scramble. 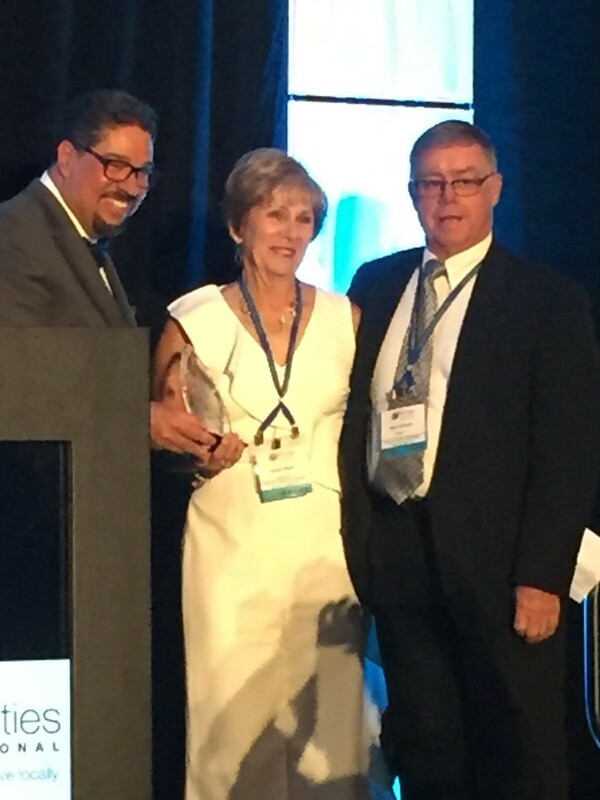 2018 - Sandy Wehr and Stan Jochum accepting the Sister Cities International award for 2018 Outstanding Program for Cities 10,000-25,000. 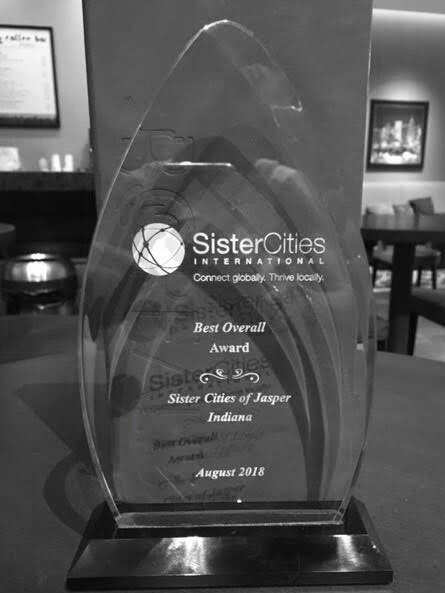 Sister Cities International Award for 2018 Outstanding Program for Cities 10,000 - 25,000. 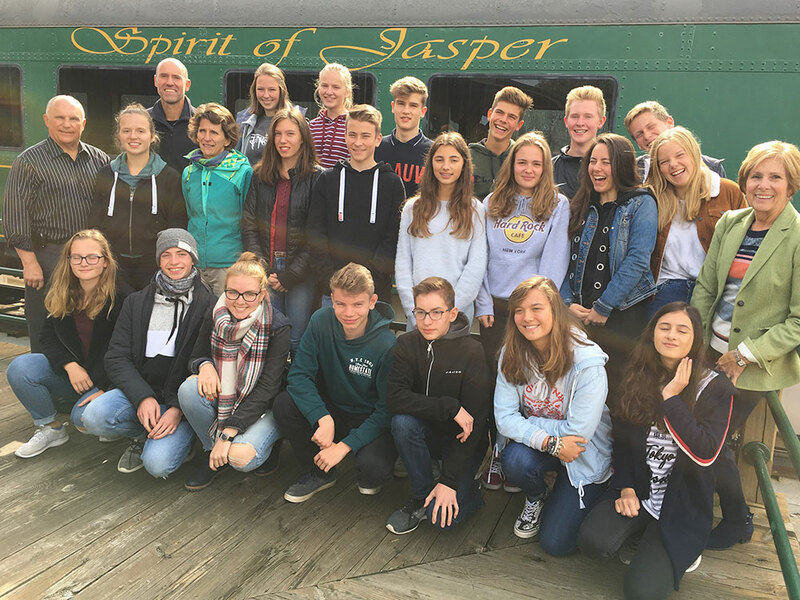 October 2018 - German Exchange students in Jasper. 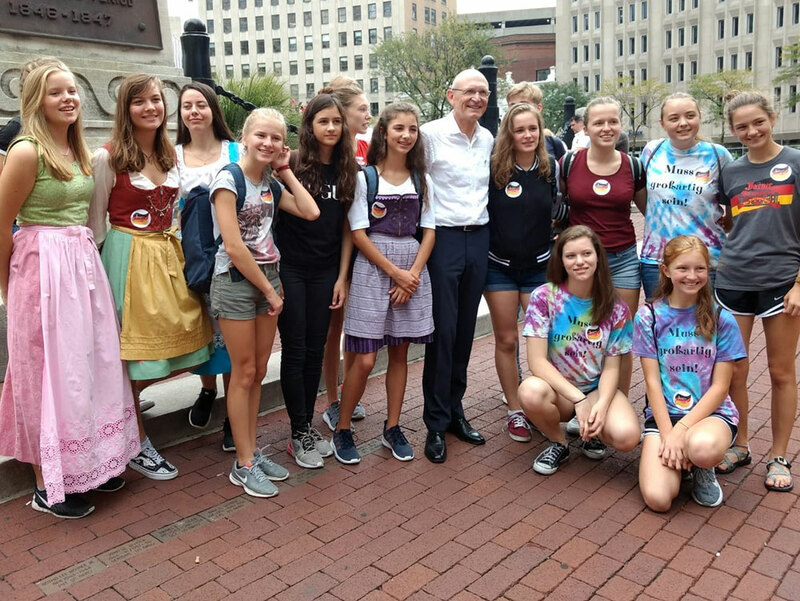 German and American Students with German Consul General Herbert Quelle prior to the parade at Indianapolis celebrating The Year of German-American Friendship. 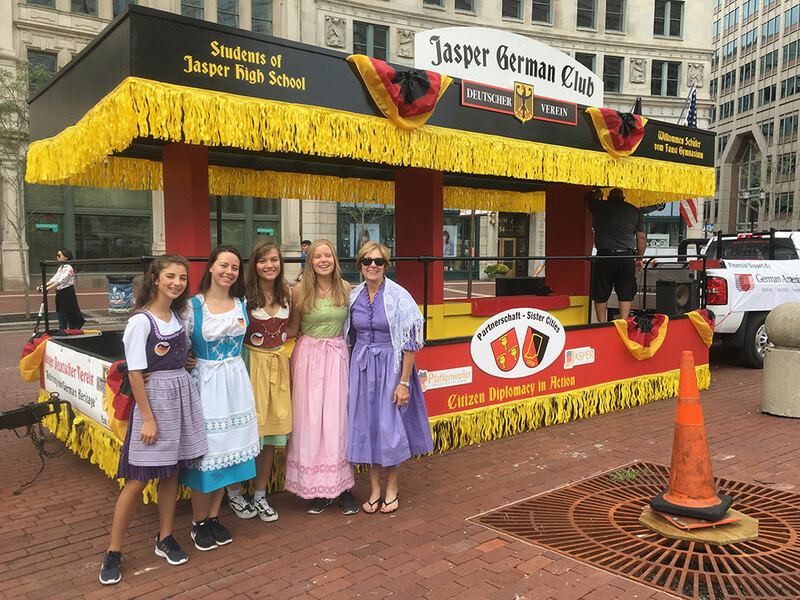 2018 - German Exchange Students with Sandy Wehr prior to the parade at Indianapolis celebrating The Year of German-American Friendship.